I recently realized that I have not given you very many smoothie recipes. 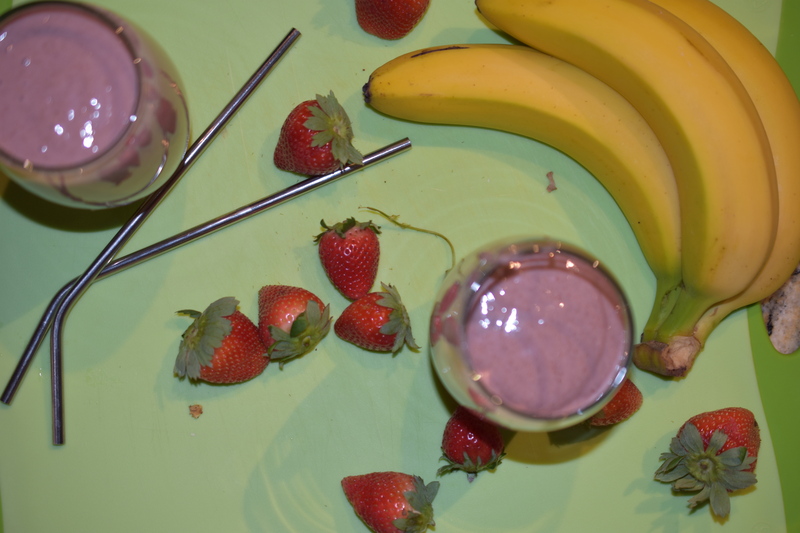 Smoothies are a great way to incorporate more fruits and veggies, along with some other incredibly healthy ingredients. If you are using the daily dozen app, you can appreciate a good smoothie recipe to check off some of your 24 check marks. A good smoothie recipe can check up to about 6 check marks. That is a nutritious smoothie. I believe this one can check off about 5 marks. Blitz until ingredients are combined and creamy. Note: I Made this for a snack for us to have later in the day so I did not use frozen fruit. Using frozen fruit will make it a little thicker and of course colder. I just stuck ours in the refrigerator until it was time for our snack. I have always liked smoothies, but I am not a big fan of drinking my calories. So I do not make them very often. I now consider them more of a treat or if I am not really hungry, but I want something light and refreshing for a quick meal. 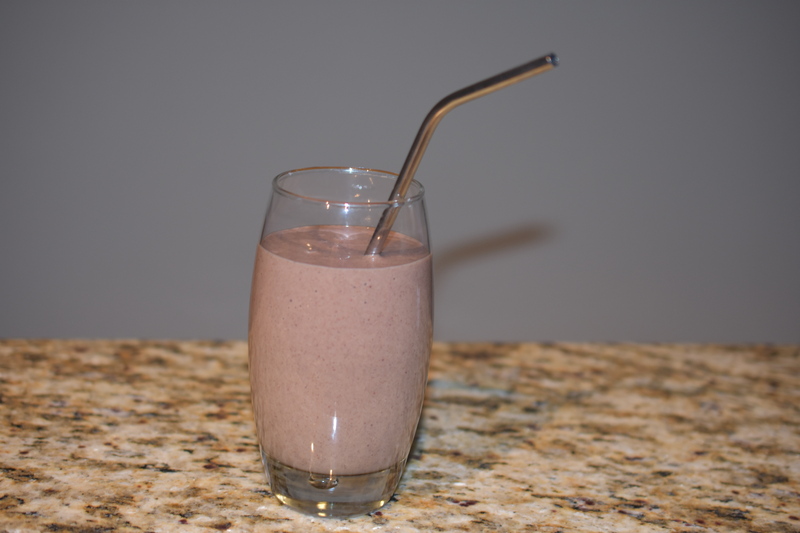 This smoothie is nutrient dense, flavorful and surprisingly filling. I like that it has a clean, not overly sweet taste. You can always add sweetener of choice if you like yours a little sweeter. This is so easy. Put all the ingredients into your blender. Blitz on proper setting for your blender until smooth and creamy. I do not make them very often, but I like them. I had some bananas that were getting pretty ripe. I did not feel like making muffins or bread so I thought a smoothie would be good. 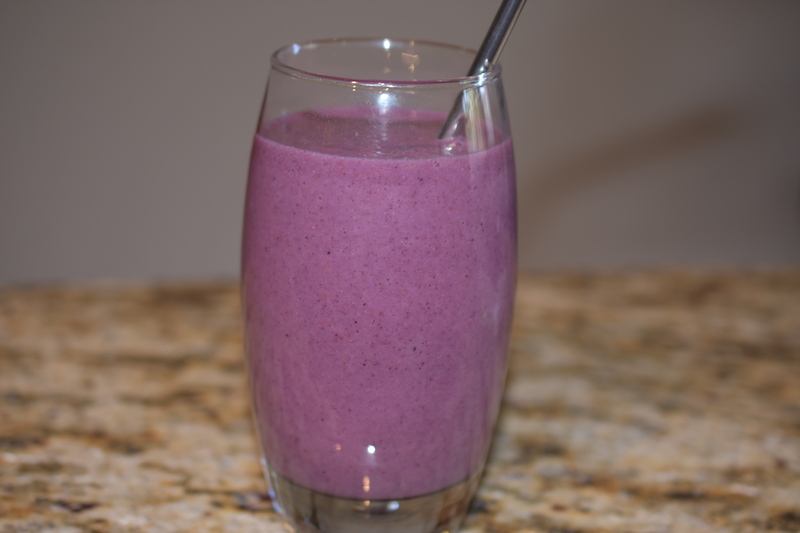 I had everything I needed: frozen berries, bananas, almond milk and chia seeds. This is a nutrient packed drink. That is what I like about smoothies. They are easy to make and you can change the flavor just by changing one or two ingredients. This recipe makes three large servings. One of the tricks I do is grind the Chia seeds in a spice grinder. By doing this you are turning it into a powder and the Chia seeds are less noticeable. My husband is not fond of the texture of Chia seeds, by grinding them I am taking care of that problem. Give it a try. I promise it really works. This recipe would be great for smoothie pops as a snack. Make it like you were making a smoothie, but pour it into popsicle forms instead of a glass and freeze them. You could make them up in the morning so when the kids get home from school you have a fun and nutritious snack all ready for them to enjoy. I might even make some for us adults. Follow manufacturer’s directions for order of ingredients in your blender. My husband bought me a Vitamix for Christmas. I am so excited to be using it today. This recipe is designed for two, but can be modified for more. I initially made it into a smoothie, but then you would have to delete the chunky part, because it was incredibly smooth and creamy. So I thought I would change it up to a breakfast bowl. Then you can choose how you would prefer to eat/drink your breakfast, with a straw or a spoon. Then I thought, this does not have to be for breakfast, it could be a snack or a dessert. 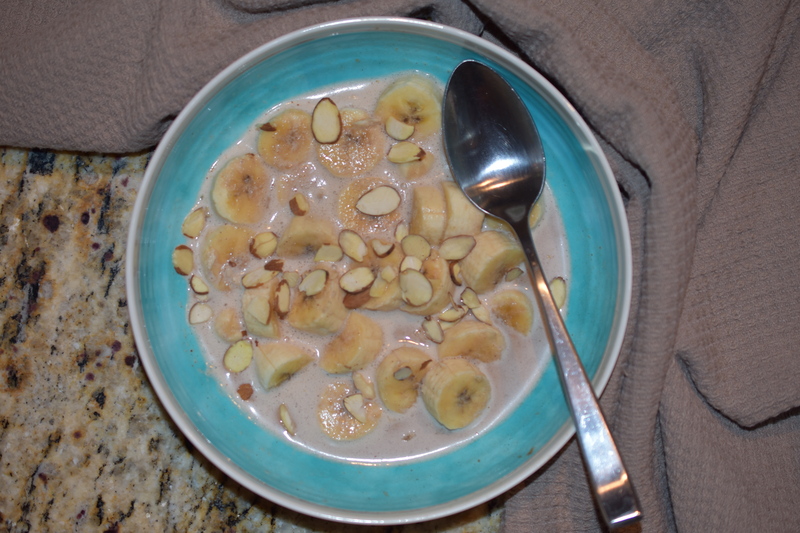 So I had to change the title from Chunky Monkey Breakfast Bowl to just: The Chunky Monkey, because you can make it or it eat any way or time you want. Note: If blending for a smoothie I would add 3-4 ice cubes to give it more of a cold shake feel, or you can use frozen bananas. Combine, milk, nut butter, dates and cacao in a blender and blend until smooth. Add more milk if needed to bring to your desired consistency. Taste for sweetness. If needed, add another date. Place sliced banana(s) in bowls. Pour blended mixture over bananas. Serve. Eat. Enjoy. Note: You can store any leftover sauce in an airtight container in the refrigerator for up to 3 days.